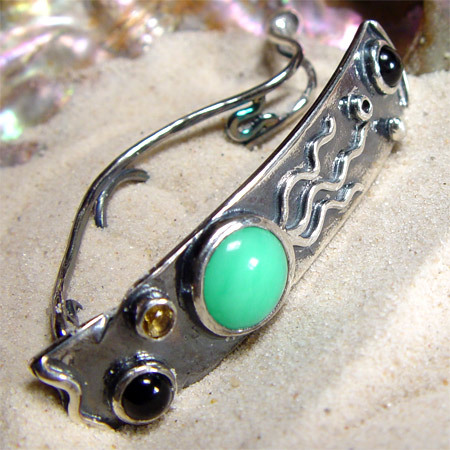 This fabricated sterling silver barrette is cast base I handcarved and features 10mm Chrysoprase with a comet tail overlay. There are two 5mm Black Onyx and a 3.5mm Madeira Citrine. See the backside.